Perhaps like me, you have imagined, practiced, and reimagined your professional work over a number of years. This past year has been a transition period for me. Actually, I am still in a period of ambiguity and although I have been here before, it’s not the most comfortable place for me to be. Fortunately, I prepared for my “premature” retirement by beginning to write my forthcoming book before leaving my associate professor position. Once again, writing “saved” me! (And when writing doesn’t reading does!) Maximizing School Librarian Leadership: Building Connections for Learning and Advocacy will be published in early spring 2018. In the meantime, I am living the myth of the Phoenix and thinking about the connections between my professional life and the upcoming AASL Conference in Phoenix, Arizona. Like the mythical Phoenix from Greek mythology, I consider myself a “long-lived” bird – member of the school librarian profession. I have been cyclically born and reborn through my service as a school librarian at all three instructional levels in six school libraries in three different school districts. Each administrator, faculty member, student population, and community presented learning opportunities and challenges. Transitioning between levels and schools always felt like a mini-death and rebirth. My service to AASL has also be an essential and cyclical aspect of my professional life. From serving on AASL’s @your library® Committee, chairing the School Librarian’s Role in Reading Task Force, serving on the 2009 Standards and Guidelines Implementation Task Force, serving on and then chairing the Knowledge Quest Editorial Review Board, to present time serving on the Interdivisional School-Public Library Collaboration Task Force and chairing the Innovative Approaches to Literacy Task Force. 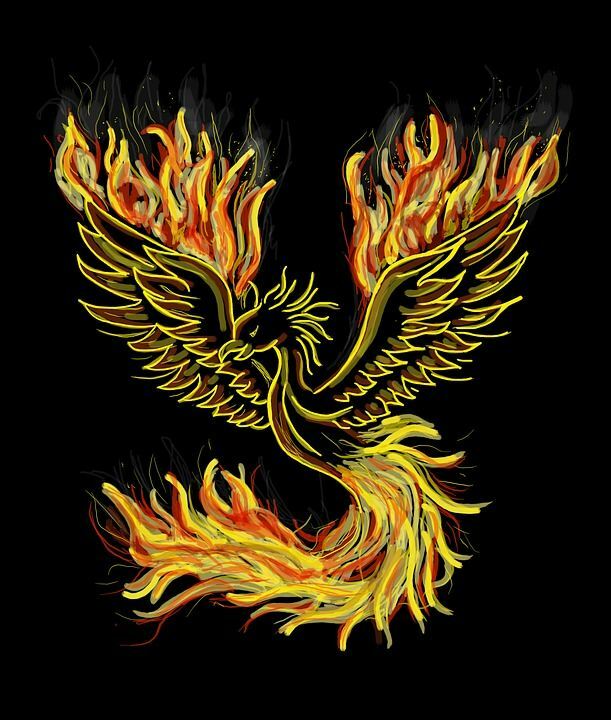 Like the Phoenix, I have always felt stronger in my knowledge and practice and more empowered in each successive position and committee appointment. The same can be said for my work over a 21-year-period as an adjunct instructor, clinical assistant professor, and most recently a tenure-track faculty member. Each new group of students, each new course, each new semester presented a fresh opportunity to be regenerated. Like the Phoenix, this blog, too, is experiencing a re-beginning. For four years along with fellow faculty members from across the country and last year as a solo blogger, we/I blogged on the Building a Culture of Collaboration @Edublogs.org site. Now with my own domain, I will continue to share the news, research, and musings that have always been the focus of this Web presence. And to further the Phoenix connection, AASL will be rolling out the new standards and guidelines—another opportunity to re-energize our profession. The conference will be held in Phoenix from Wednesday, November 8th through Saturday, November 11th. As I prepare for my rebirth as a full-time consultant, I am excited to have the opportunity to present an AASL conference session “Investing in Social Capital Counts” (Saturday, 11/11 at 3:10 p.m.) and serve on a panel “Leadership: Many Roles for School Librarians” (Friday, 11/10 at 10:10 a.m.). For me, the fact that “Beyond the Horizon” will be held in Phoenix creates a full-circle synchronicity with my professional life since I began my career as a school librarian and as a school librarian educator in Arizona and now live once again full time in the Sonoran Desert. I hope you have also registered and are making your travel plans to attend the conference. In addition to this year’s official rollout of the new standards, AASL conferences are always a golden opportunity to learn and network with colleagues from across the country. Next Monday, September 18th, AASL will hold the first Twitter chat focused on AASL’s “National School Library Standards.” To participate, follow #AASLStandards beginning at 6:00 p.m. Central Time. Leunert, Elisabeth. “Phoenix Bird.” Pixabay, 7 June 2016, pixabay.com/en/phoenix-bird-fire-bright-red-swing-1440452/.